Louise Sims Papercrafter: New Home card using frame stamps. 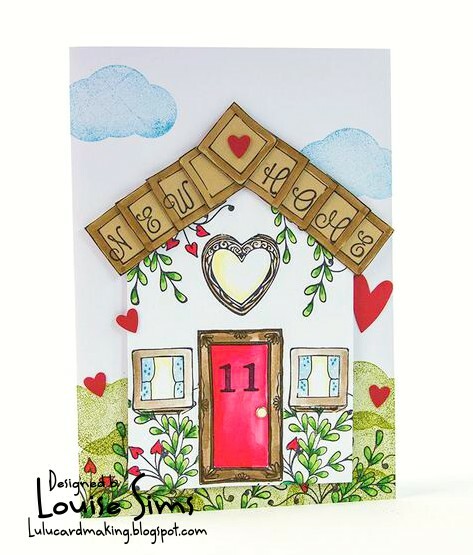 New Home card using frame stamps. This idea came about because I had stamped some of the square frames on to kraft card, to create another project, (which didn't quite work), so rather than bin them I thought of other ways to use them and 'roof tiles' rushed in to my head! 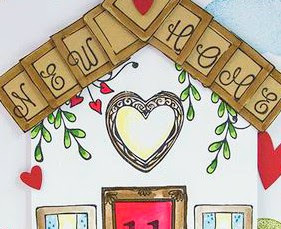 I cut a house shape from white card and stamped the door & windows first. Masking the latter, I added foliage using the Delicate Detail Vine Flourish stamp, coloured with my Aqua Flow pens. 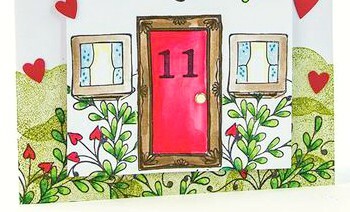 I also water coloured the door and windows, doodling some curtains and adding a door number. The door knob was made using a brad. Before adding my house, I created a background on my base card using the cloud stamps from 'Reach for the stars' stamp set and my Aqua Flow pens as the 'ink'. 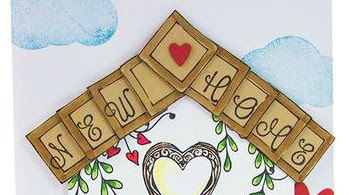 Now came the roof tiles and before sticking in to place, I stamped the different letters to create my sentiment and finished with a tile as a diamond shape. The hearts are from the waste of different die sets ... too many to list! I do love it when a mishap can be turned around and I'm sure many a crafter has had to think quickly rather than waste precious supplies. 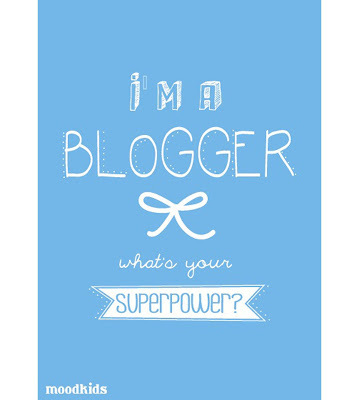 Great card for a new home, thanks for sharing your creation with us at Creatalicious. We hope to see you back again.